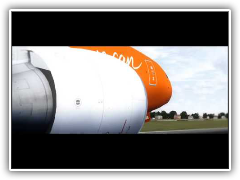 [15:32] - Flight TAY5178 is ready to depart EGSS with a final destination of LICJ. [18:21] - Landed at -181fpm. With 1623kgs of fuel onboard and a pitch angle of 5deg. [18:26] - Arrived safely at LICJ. We hope you enjoyed your flight!